The grief that is attached to watching your parents age can be confronting and painful. You experience grief as you observe their ever-diminishing capacity to function as they once did. There is a grief for both you and your parent as you each become increasingly aware of the losses and the inevitability of death. You become more aware of your own mortality and the passing of time. This brings up feelings attached to unresolved issues, the discomfit of your parent become increasingly reliant upon you, perhaps a parents resistance to giving up their independence. It is a difficult and painful life transition that refuses to be ignored . Listen to your parents stories. Frequently, as we age , we have a need to talk about past memories. For your parent, this may be their way of forming a cohesive narrative of their life, allowing them to come to terms with that which they had previously been unable to do. Having someone to bare ‘witness' to it can give meaning and closure to their life journey. If you find it difficult to connect with your parent, think about some of their stories and the significant acheivements, interests or themes and ask yourself how you could use that to build a bridge between the two of you. For instance, one friend of mine decided to take a day-trip to visit the town where her now invalid father once designed and made trucks. The original trucks were still on display and so she decided to take her camera and create a photographic record as a special gift to her father. It is natural that you want to talk with your parent about their death but they may not feel the same way. Your parent will deal with their impending death in a way that is right and most comfortable for them.Be aware that the frustration you may feel about your loved one not wanting to talk about their death is about your need, not theirs. Times of family crisis, marked by a heightened emotionality, inevitably invite us to revert to former childhood patterns of interaction with our parent. 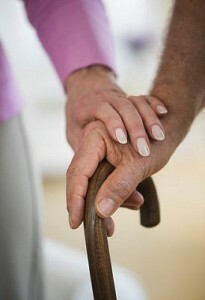 What feelings are triggered by the interaction you have with your aged parent? Frustration, anger, fear, anxiety, sadness? Chances are they are familiar feelings that you experienced as a child.How do you deal with them? Recognize that you have the power to change your response to your parent. What would you Iike that relationship to look like? How would you respond to your parent if you responded from an adult position? Do you need to be firm about what you can and can' t do? Be mindful of your own self care. People frequently hold the false belief that a good son or daughter must be entirely attentive to their diminishing parent's needs. Feelings of guilt can have the effect of being ‘overly responsible' for your parents care and well-being, which in turn can leave you feeling exhausted and resentful. Making time for yourself to do the things that keep you energized and balanced needs to be a personal priority. If you neglect your own needs, you will swiftly become overwhelmed by the physical and emotional demands that caring for your parent requires. Grief can have the effect of leaving you feeling needy and emotionally vulnerable. If you feel like that, talk to someone you trust who will listen and validate the feelings you experience.Talking allows you to identify what you are feeling and to process the feelings. Be honest about your relationship with your parent- do you have feelings of guilt, anger, bitterness or resentment? Put them out there. Denying our experience becomes a toxin that ignored, floods our emotive state and hampers the grieving process. Grief is an emotional roller coaster so remember to be kind to yourself and accept that what you feel is okay and part of the experience of acknowledging a significant loss. If you want to grow, experience wellness and reach toward your full potential then here’s what you need to do contact me on 0434 337 245 for a FREE 10-minute phone consultation on how I can best help you.